Tea lovers, weight watchers and health freaks, this post is dedicated to you. 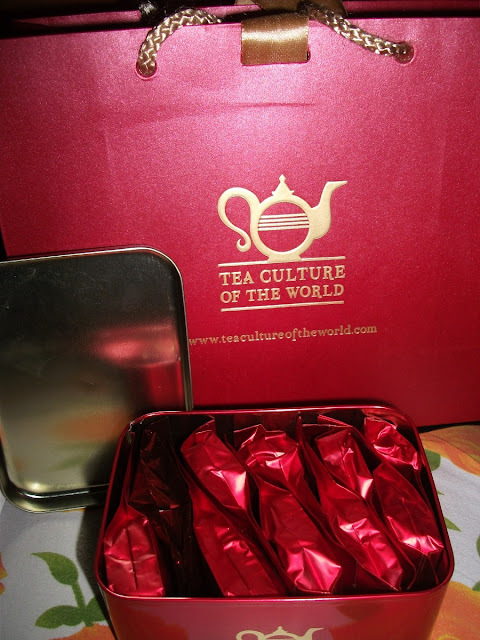 Tea culture of the world, an online tea shop has introduced a range of flavourful and healthy teas that you can buy with just a click. Their range includes varieties like Blooming Tea - bundle of tea leaves and flowers bound together with a cotton thread into a ball, Chamomile Tea – the traditional version of the herb tea, Rose Tea – rose petals and tea leaves bundled together for a flavourful experience, Oolong tea- another flavourful and aromatic herb tea and many more. Click here to see the entire list. Besides adding flavour to your regular version of tea, these products also claim to have innumerable health benefits. Calling out to all the tea aficionados; this one is definitely going to be a treat for you!